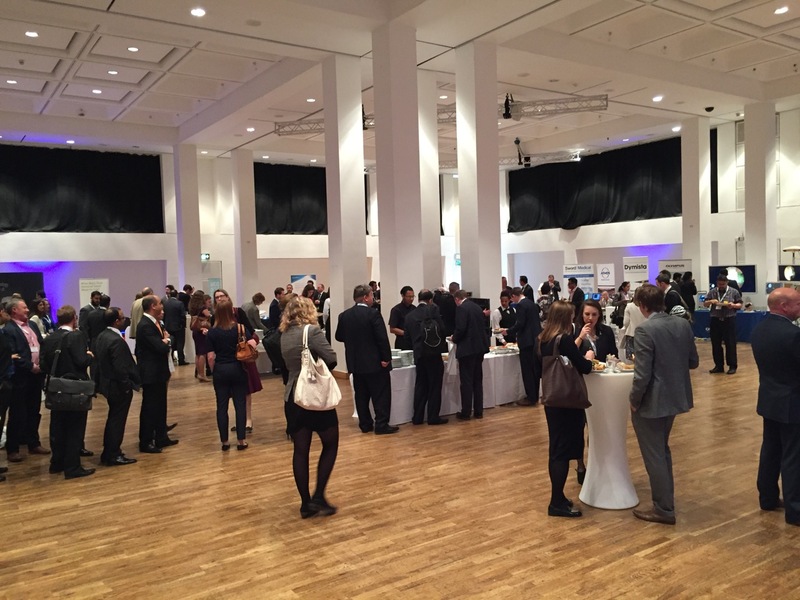 The Royal Armouries in Leeds was the grand setting for the 15th Annual meeting of the BRS this year. Paul Nix was the host and put on a notably interesting and educational meeting right from the outset, as delegates had the opportunity to try demonstration firearms as they entered the reception hallway. After a warm welcome from Society president, Mr Sean Carrie, it was Prof Paulo Castelnuovo who gave the Storz Invitation lecture, drawing on his vast experience in dealing with sinonasal malignancies to reason that it’s just as important to adhere to sound oncological principles when managing such cases endoscopically as it is when dealing with them via open approaches. He also reiterated the importance of paying attention all available histological information as subtypes of the same category of tumour can behave very differently and hence need managed very differently. The registrar papers followed and provided and interesting range of stimulating talks ranging from the search for an objective outcome in FESS and SRP, the mechanism for staph getting into mast cells in nasal polyp, to the optimum timing for nasal fracture reduction. The best paper was deemed to be from Ali Salamat, with a talk on the use of engineered honey for treating biofilms in CRS. Chris Potter lead up to lunch with yet more bewildering questions in the rhinology quiz, some of which even had a loose rhinological connection. 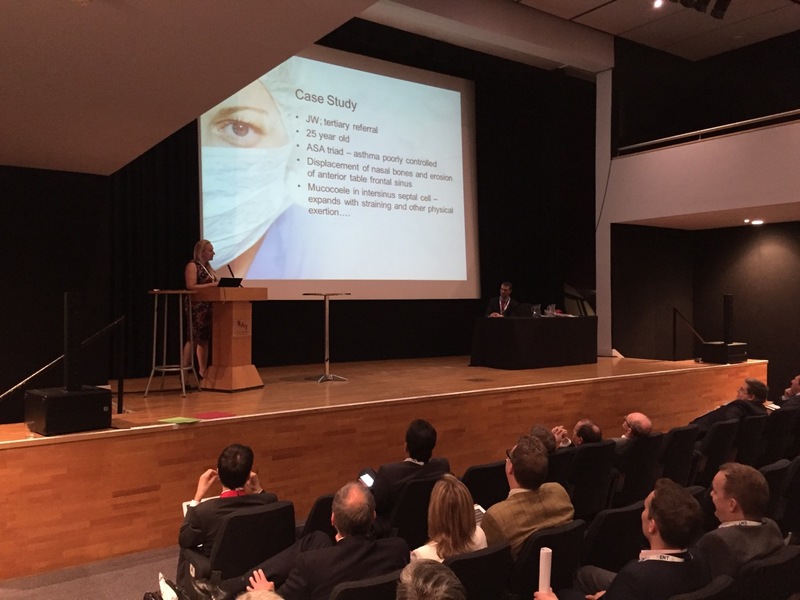 After lunch, the invited UK speakers gave their talks on important rhinological topics: Prof Gerry McGarry on whether there is still a place for open approached in frontal sinus surgery; Simon Watts on how to deal with that difficult septal deviation that does not want to straighten; and Julian Rowe Jones on techniques for getting some finesse in your aesthetic dorsal re-sculpting. The consultant cases and BRS fellowship report then followed. 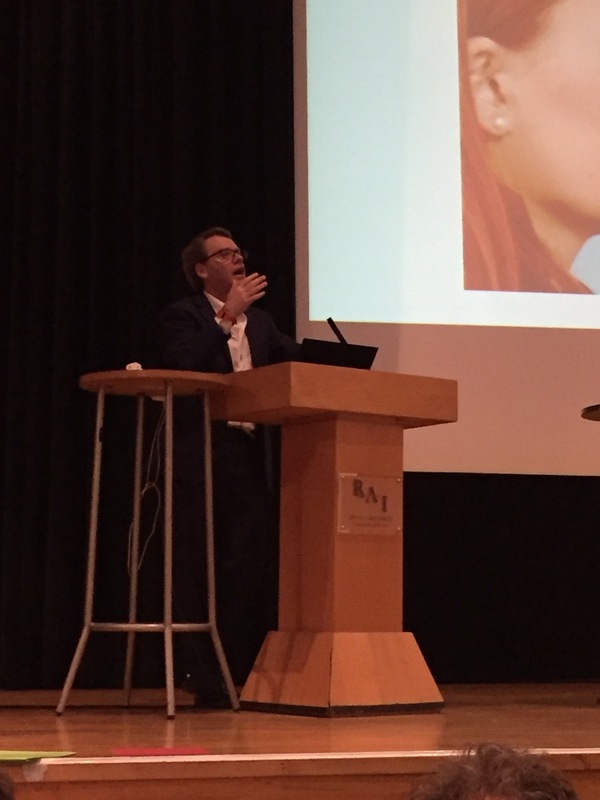 Two new programme items finished the afternoon off: in the Big Debate, Carl Philpott took on Claire Hopkins - Carl arguing for full house FESS in the management of recalcitrant nasal polyposis and Claire arguing a more considered tailored approach. There was certainly discussion aplenty but it was Claire who took the vote in the end. Commiserations to Carl - it was always going to be a difficult case to argue. 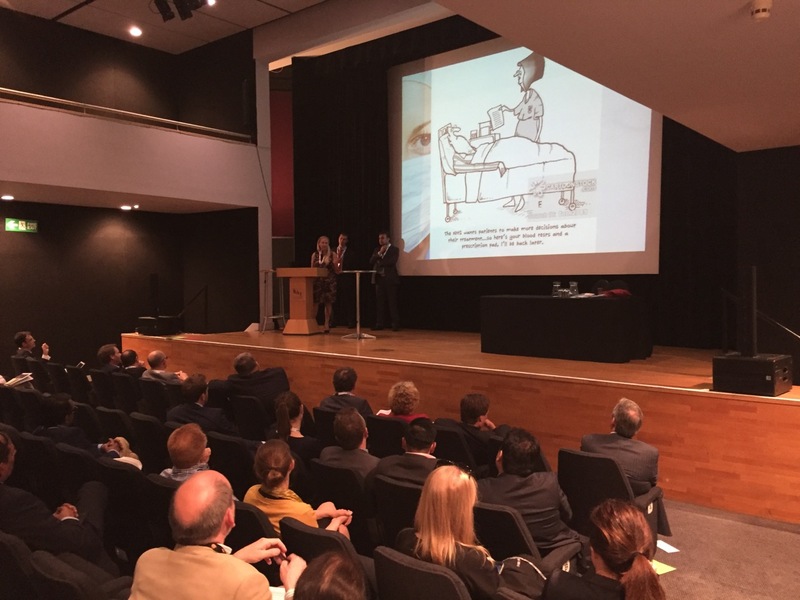 The penultimate event of the afternoon was the inaugural ‘Dragons Den - Rhinology Edition’ which presented a new format for selecting the BRS Research Fund award, with 3 potential applicants pitching their research ideas to the fearsome quartet of Prof Valerie Lund, Tim Woolford, Claire Hopkins and Prof Anshul Sama. All involved got very much into the occasion making this a very successful item and it was Timothy Biggs’ proposal for ongoing work on the mechanism of staph internalisation in mast cells that caught the attention of the Dragons. President Carrie closed the day with the AGM, announcing amongst other things that Nora Orban had taken the prize for the best poster of the day. Thereafter many delegates no doubt took the opportunity to look round the fascinating Armouries museum more properly. Preparations are now underway for the 2017 meeting which will be held in Jersey in the Channel Islands on 19th May. Bring your swimming gear and your surf board. 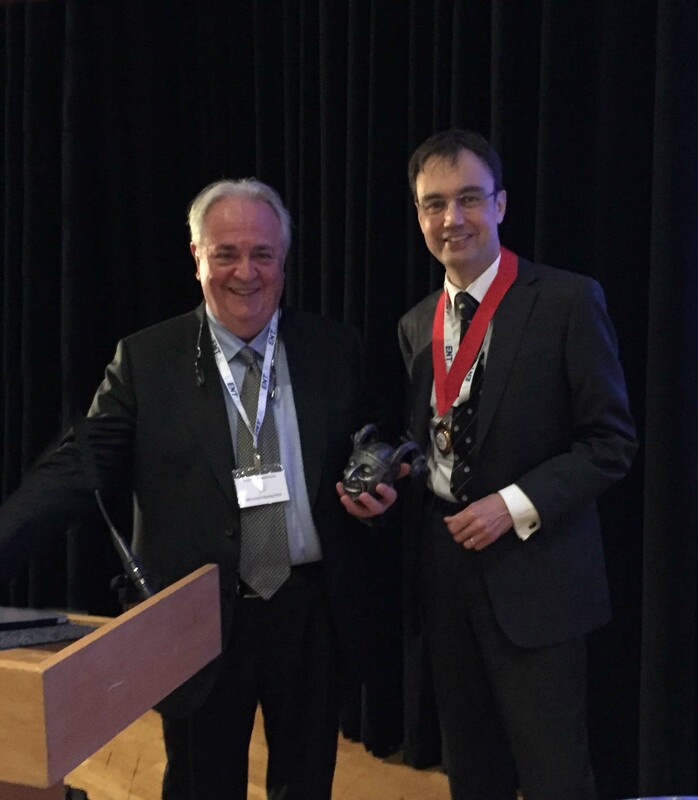 President Sean Carrie presenting Prof Castelnuovo with his 'unique' gift from the BRS. Click on a title to review the full abstract of the presented paper.